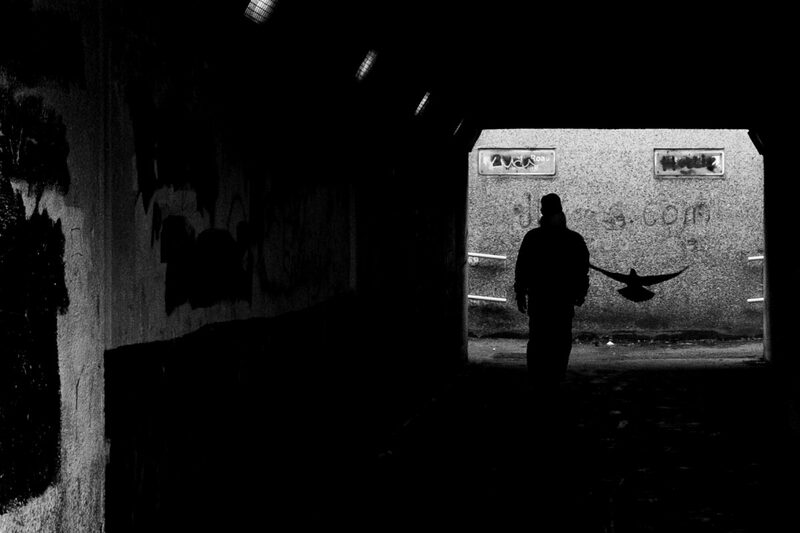 With the year now past the half way point Getintothis’ team of photographers rifle through back catalogues and pick out their best work of 2018. We’ve spoken before about the privileged position in which we photographers will sometimes find ourselves. Better than front row access, in the photo pit, to gigs such as LCD Soundsystem, Manic Street Preachers and Fever Ray have all been highlights 2018. Each provided special moments and, especially, the chance to stand in the pit within a few feet of James Dean Bradfield and Nicky Wire left us more than a little bit star struck. But then, with bands of that kind of stature, you’ve got a pretty good idea before the gig of what you’re going to get. National and, even international, press may well already have reviewed earlier shows on the tour. You’ve got all the albums, played them many times and then again on the train or in the car on the way to the gig. That’s not to say it’s all predictable and you may be lucky to get a band on fire, or unlucky to see a top class band play a stinker. There’s always that element of chance, but the odds are usually in favour of a great gig. Because that’s how big bands get to be big. And with other big name outings from this year in the Getintothis picture library such as Roger Waters and Stereophonics, you may be wondering why there’s a shot of The Magnettes above. Sometimes it’s the smaller gigs and the lesser known bands that throw up the biggest surprises. There was the legendary insanity of Boblog III at Drop the Dumbulls which had our reviewer Lauren Wise open mouthed and photographer Paul Wills with one of his favourite shots. 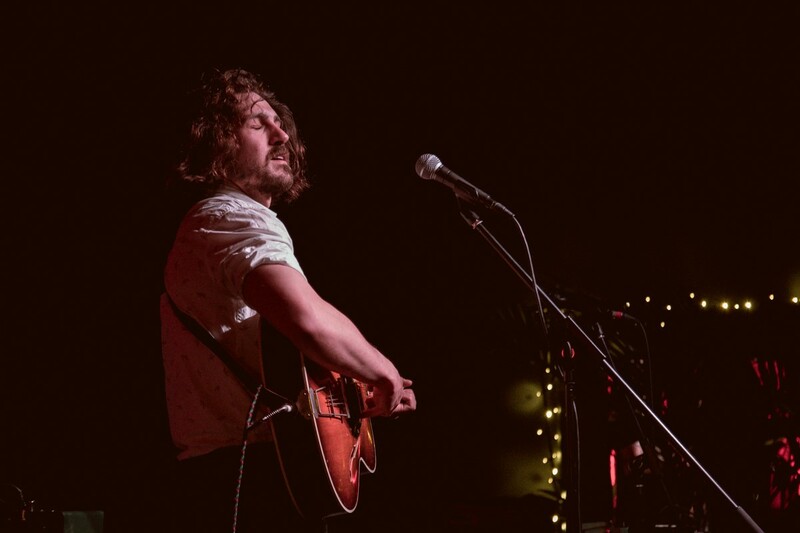 So too the amazing evening with Loma and Adam Torres which proved a great hit with Banjo who saw a bit of sun shining into the Buyers Club in June. 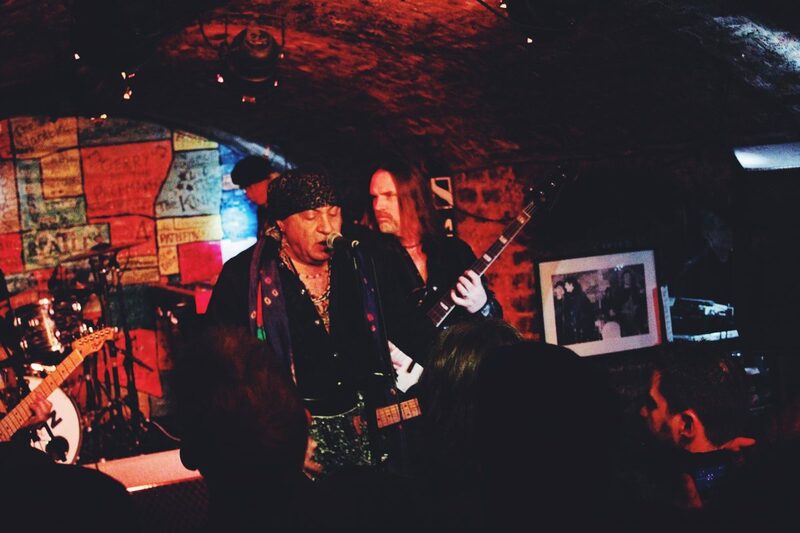 These are but two examples of the great gigs to be sought out around town, often with an entrance fee of less than a tenner – that’s roughly two and a half pints. 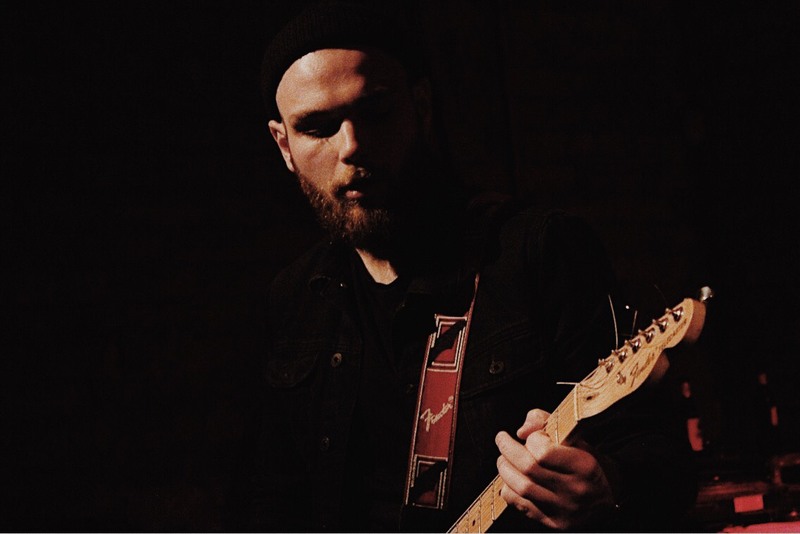 There are delights and gems to be found away from the big arenas or the larger venues such as the O2 Academies and the like. Recently we had a mate complain gigs are too expensive. They’re not. You’re just going to the wrong gigs. The point was proved, if it needs any more evidence, by Sound City this year. 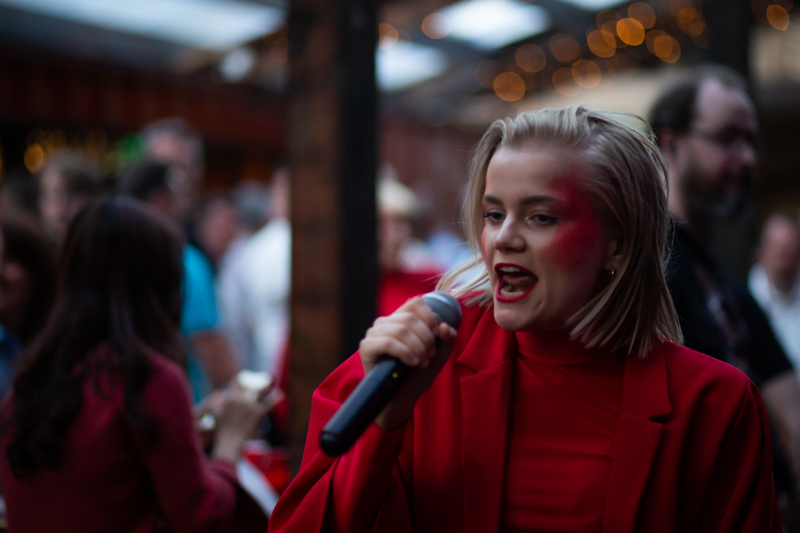 Wrestled back from last year’s dust bowl, behemoth, of a site at Clarence Dock, into the much better fit of the Baltic Triangle, the 2018 version saw a more back to basics atmosphere. The venues were smaller and many of the names not so well known. One of the venues we covered was Birdie’s Bar, tucked around the side of the Cains Brewery complex. There was a stage, of sorts, about as big as your kitchen table. And we didn’t see a bad band there all weekend. 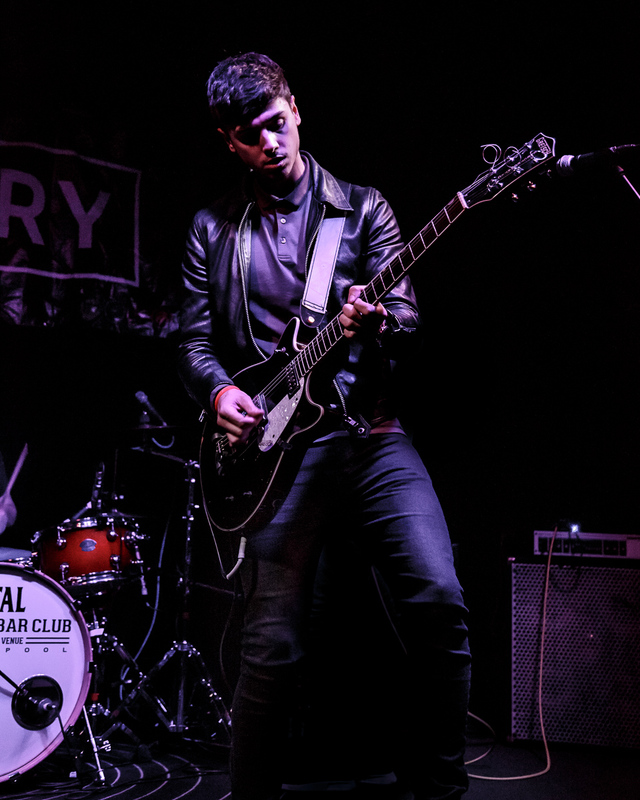 From the gnarly punk of SPQR to the Jesus and Mary Chain vibe of Scotland’s SunStinger there was quality in abundance in this most unlikely of venues. And then came The Magnettes. Like Kylie on speed and with attitude. The stage meant nothing to them as the pair bounced and gyrated among the tables and beer kegs to a hundred or so bemused punters as they showed off their unique brand of psych pop. “We came all the way from motherfucking Sweden to hang out with you guys. You’re our kind of people”. This was a performance delivered with real skill, style and sass. It was clear the band was having fun and it didn’t matter their audience was modest, they would give it all anyway. It was one of our highlights of Sound City and the year so far. And that’s the point. There are great gigs everywhere. You may not know it beforehand and it may be a bit hit and miss, but they’re there, just waiting to be discovered. So, off you set, Grasshopper – go discover. And with that in mind, enjoy our photographers’ selection of their favourite images of the year to date. Peter Goodbody. 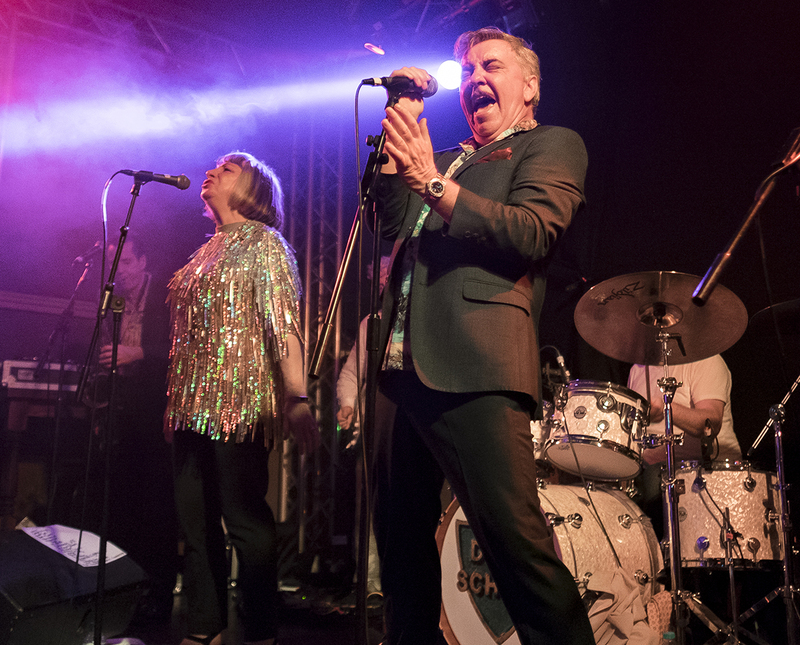 Warren says: Deaf School at The Arts Club, Liverpool, March 2018. Always a party at a Deaf School gig and this was no exception up in the attic at The Arts Club. The place was packed and one of those gigs as a photographer when you can stay in the pit for as long as you want (even if the pit there is very small and a bugger to get in and out of). I like this image as it shows Enrico Cadillac Jnr (Steve Allen) really belting it out. Dan says: Fran’s been a good mate for years. I know how much he loves music and playing guitar so finally seeing him in a boss band gives me so much joy. Plus I love the shadow/lighting on this. Dan says: Not the greatest photo. It was jam packed inside and I held the camera up above the crowd. I just like this because it felt like a genuine ‘I was there‘ moment and The Sopranos is my all time favourite TV show. 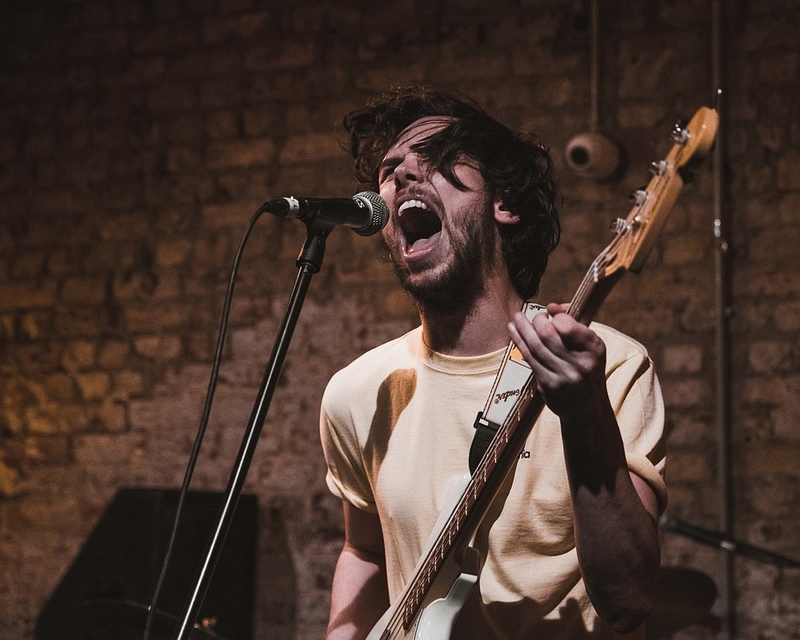 Paul says: Lennie Dies at Deep Cuts, Buyers Club: Although the thrash rock, metal, screaming, shouty style of music is not something I’m into myself, I’ve found bands like this the best to shoot in order to capture energy and dynamism – and I feel this photo does capture all of that and more. This guy was lost in what he was doing and giving it everything despite being the last band on at Deep Cuts and playing to about twenty people. In this shot it looks like, as far as he’s concerned, he could be playing to a full house at the Echo Arena! Paul says: Of The Valley at Leaf: My kind of music, evocative, atmospheric, kind of Americana-ish, quieter! I really liked this guy. Although less energetic and dynamic than the previous photo, I feel it nevertheless captures somebody equally lost in their music/performance. I love how the light is falling on his face and how Brian is against a plain, black background. Some people might feel the right of the photo is a bit messy and distracting, but I like the effect of the fairy lights in contrast to the plainness of the other side. 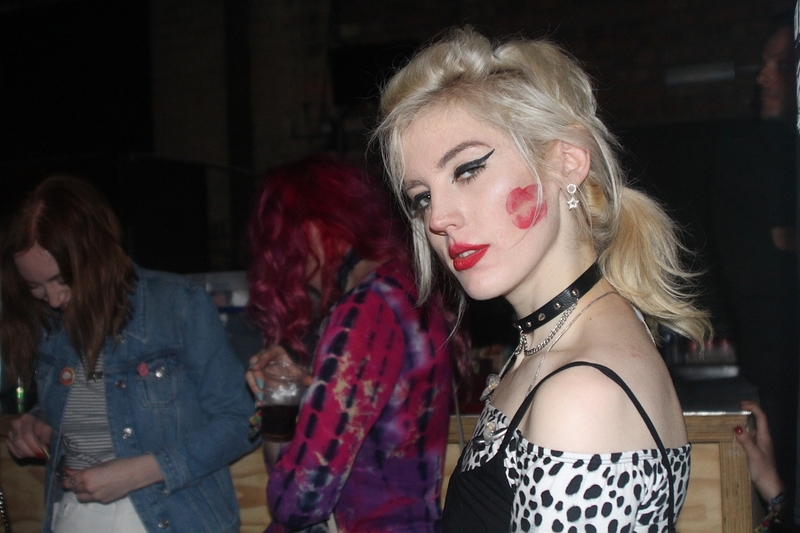 Jane says: Izzy from Black Honey after their set at Sound City in May. I love it because the band was really approachable, and also not one to disappear after their set, instead they just started setting up their merch stand and were really happy to talk to the people there to see them. 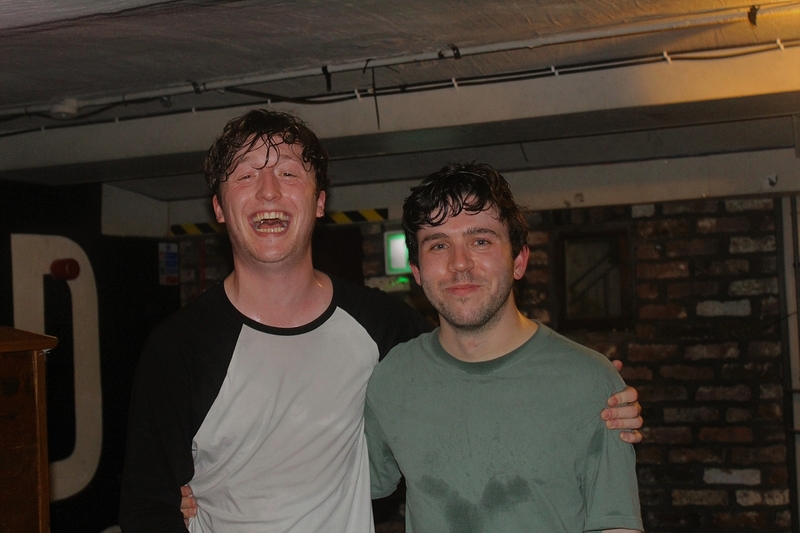 Jane says: Two members of Boy Azooga after they played at the Shipping Forecast last month. The band were really ecstatic with how the gig turned out and with the release of their new album, they were also really happy to see me at the gig, having remembered me as having given them Polaroids of their first Liverpool gig when they opened for Estrons, so that was definitely a highlight. Peter says: I’d never seen The SoapGirls live and, indeed, I only had a passing acquaintance with their music. But I did know this was likely to be a photogenic gig. 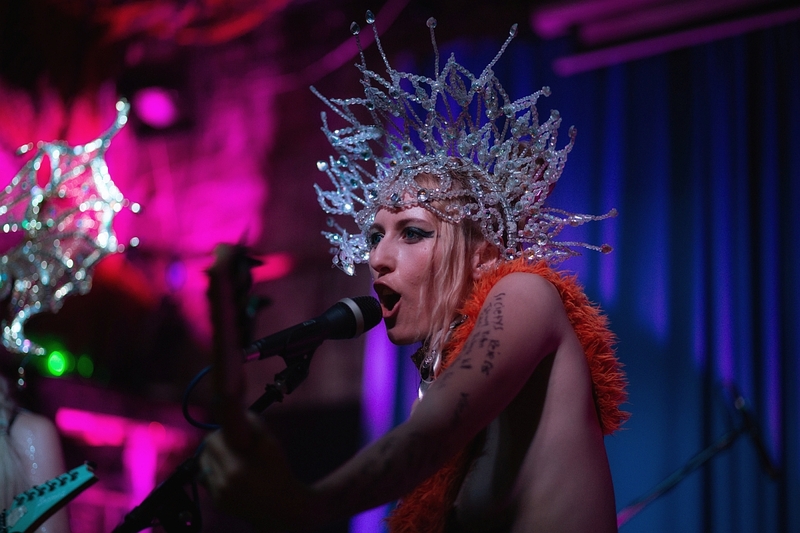 With feather boas, sparkly head dresses and little else, the pair blasted through a brilliantly angry punk set to the North Shore Troubadour audience. I’d arrived late, thinking I may get the last half an hour or so of the show, but, happily, in this case so were they late setting up and I got to shoot their first three songs. Peter says: Despite the point made above in the intro about smaller gigs sometimes throwing up the best surprises, there was no way this one wouldn’t make the cut. 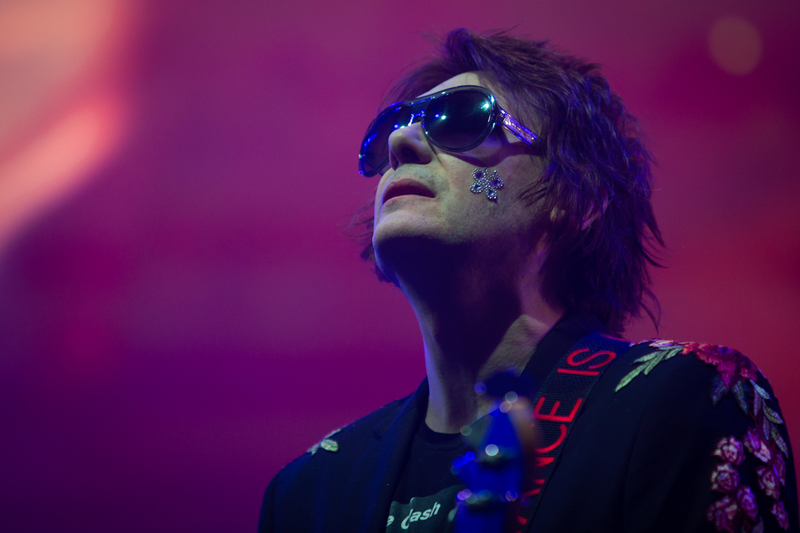 I’m a massive fan of the Manics and the chance to shoot this gig was not one I was going to miss. There were no surprises, though, and this was a stormer. Difficult to beat. 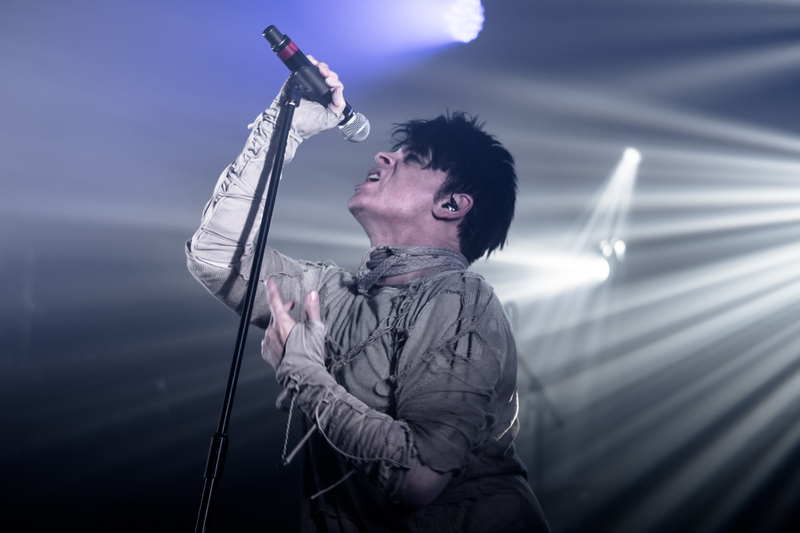 Kevin says: There was a hint of trepidation photographing Gary Numan for this gig, little uncertain of what he would still offer given his lengthy career of touring. These worries were soon banished, the atmosphere that night was electric, and this before the support act had even taken the stage. The Peter Pan of synth pop was on the top of his game. 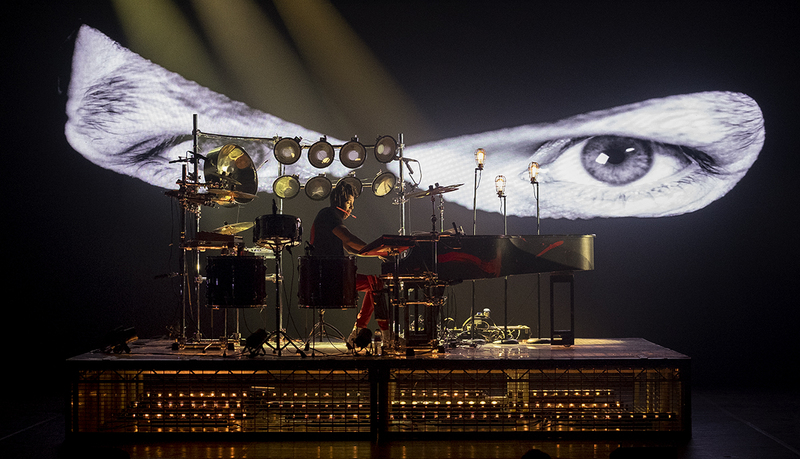 As a photographer everything fell into place for this shot, excellent lighting and stage set-up, a charismatic artist, and a sublime energy in the room. Kevin says: As a general rule you can gauge the expectations of a new band based on how many photographers there are in the pit. 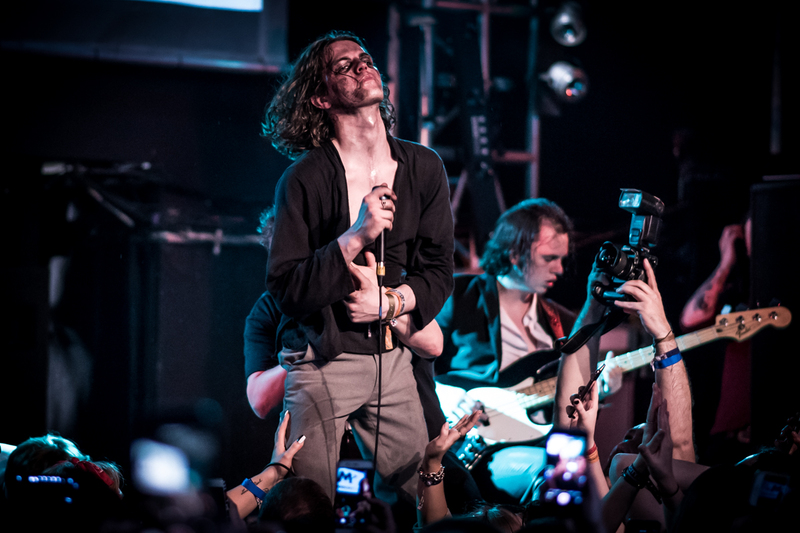 For The Blinders playing District as part of Sound City there wasn’t an inch of room to move for all the snappers. 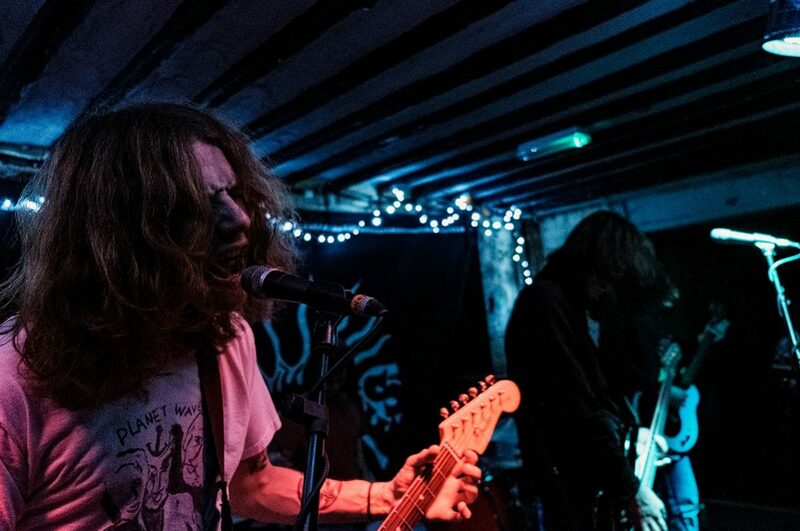 The raw power and passion in this set would have left anyone who was there feeling they had just witnessed something a bit special, and in many people’s opinion the stand out performance from the festival. 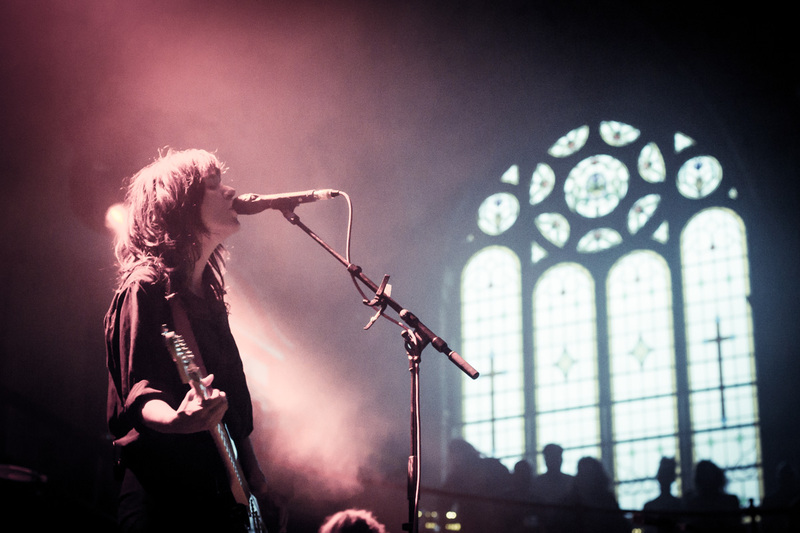 Lucy says: The windows in the Albert Hall are huge and let so much summer evening light in. I went into the gig wanting to get this exact kind of shot, but the stage is so damn high I was worried i wouldn’t get it! I love the windows, the lighting, the smoke and the grain from my crappy camera! Lucy says: This show at the Soup Kitchen was packed out, hot and sweaty and the atmosphere was pretty electric. However the room was so dark, the crowd were using the flash on their phones to take videos and photos, which worked out well for me to get better lighting. 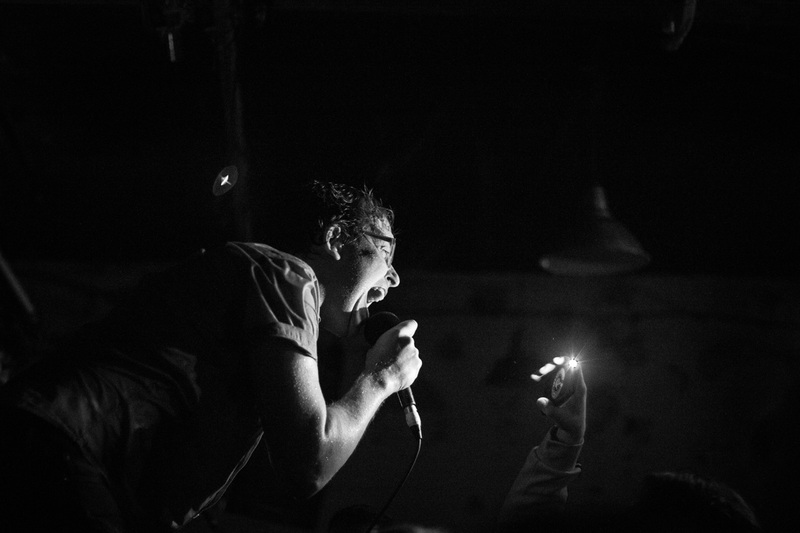 This is my favourite from all the crazy crowd surfing photos of that night, just a single hand holding up a phone torch to light the singer’s face. Mike says: Karl from the band Factory at The Zanzibar. These guys are great performers as well as musicians. I just love the attitude in this image, the confidence, the stance, oh yeah and the guitar! Mike says: Circa Waves at EBGBs. 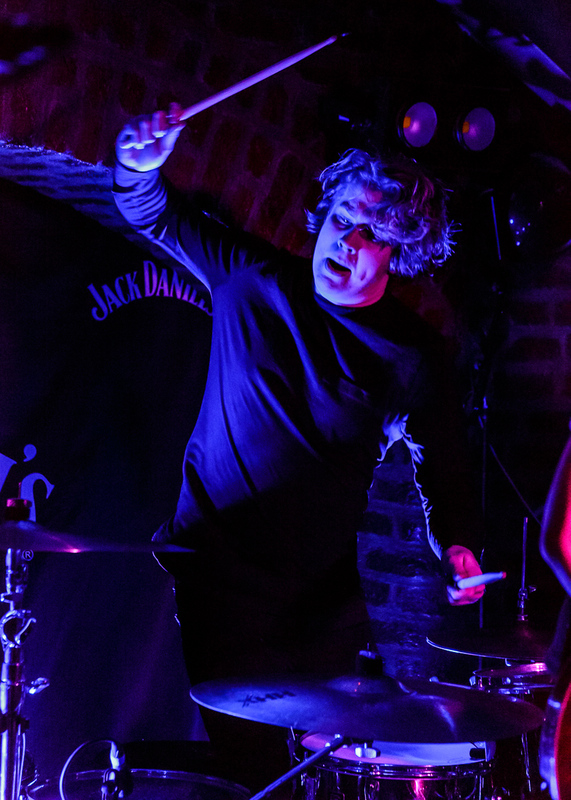 With this image I was pleased to capture a “not the traditional” drummer shot. I also like how the lighting leads it more towards a black and white feel. Mark says: This is a shot from an exhibition i was part of this year. I really like this image as it is a little different and captures a moment that you couldn’t really duplicate again. 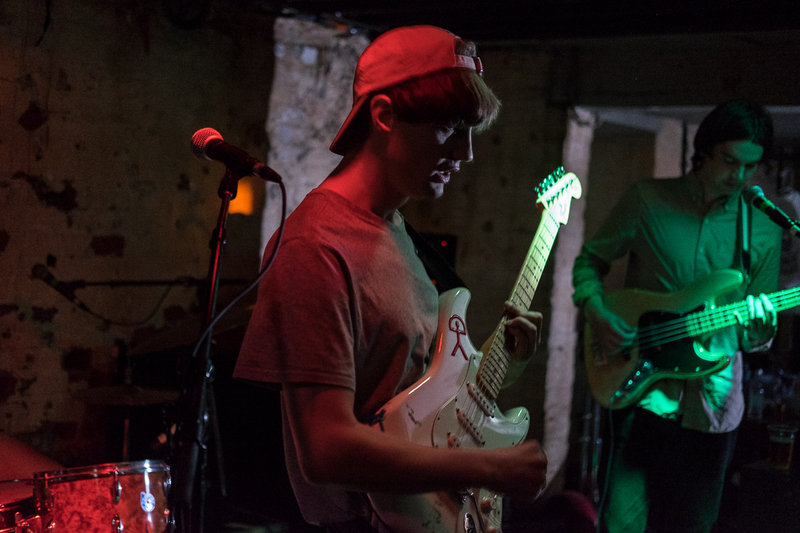 Mark says: I shot this image at The Beach Skulls gig at The Shipping Forecast in June. I really like the atmosphere of the shot, it was a great gig and i think this shot captures the mood of the performance well. 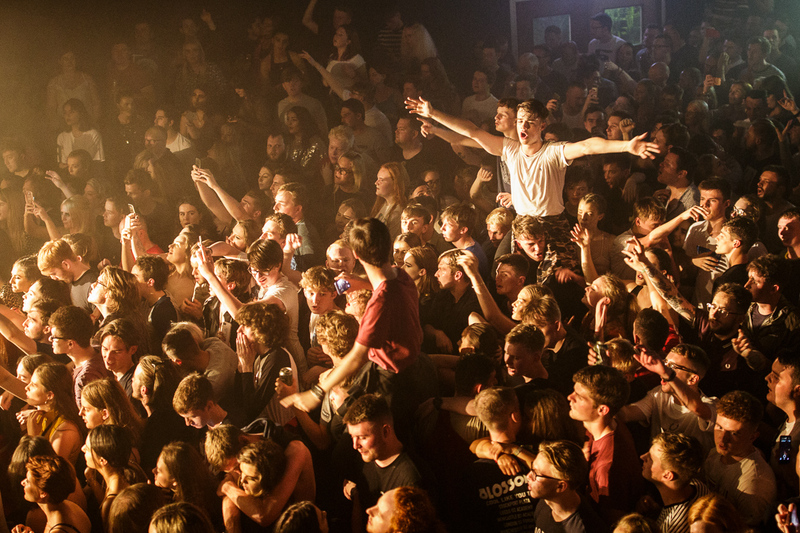 Keith says: Blossoms at Invisible Wind Factory: this guy in the crowd on his friend’s shoulders was brilliant. He was singing along to every word along with arm movements. Lost in music! Keith says: Pale Rider. It was my first time seeing them and I was really impressed. With a wide angle lens on my camera I caught them all going for it and the light shined right in the lens giving a great flare. 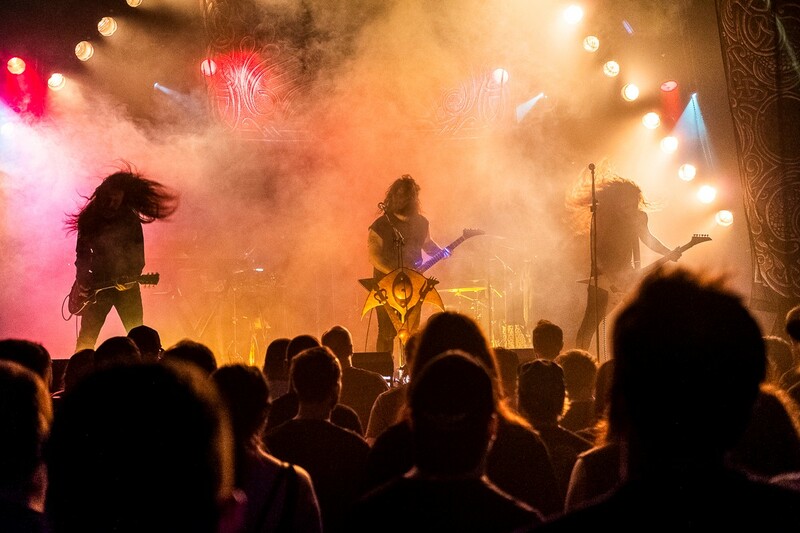 Chris says: Having been a heavy metal fan for my entire life, i always relish the times that i get to photograph my heroes, and Wolves In The Throne Room are just that. I wanted my picture to show the sheer power of their live performance, and also this being in the Invisible Wind Factory was a massive pull for the city and its metal scene. 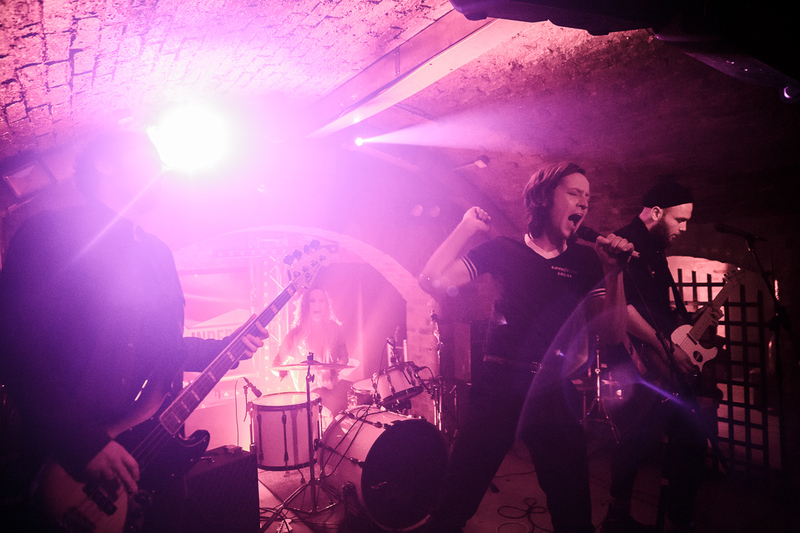 Chris says: The young blood of the heavier punk/goth scene put an absolute stormer of a show in the Shipping Forecast basement. Heavy and fun, the crowed lapped it up. Hell of a good show all round. I wanted my picture to capture their raw talent, and the sheer noise of their live show.